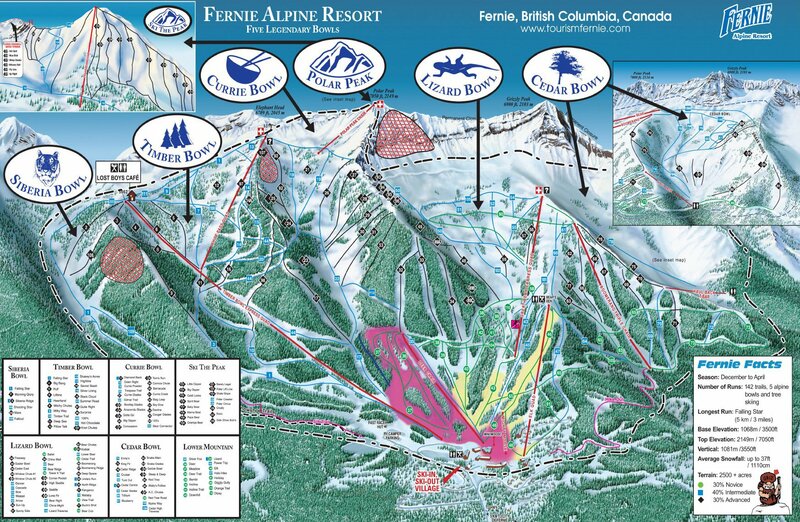 Fernie is in far south-eastern British Columbia on the Powder Highway. 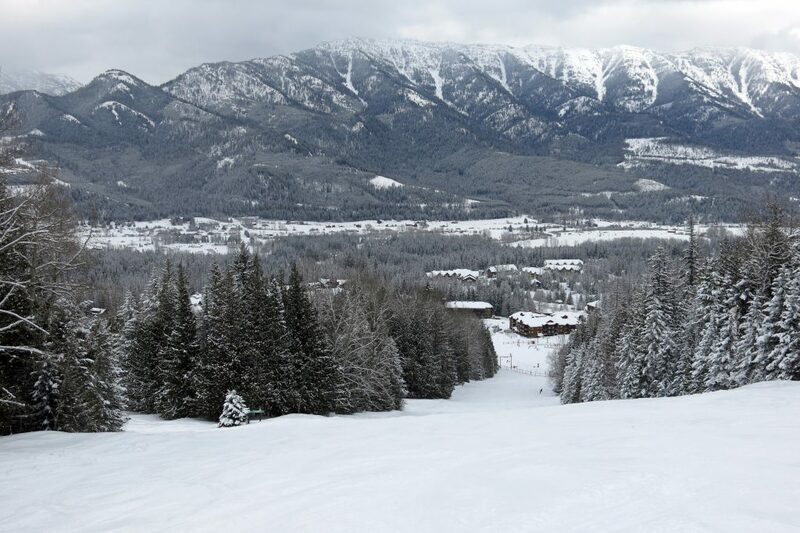 It’s well known as a powder haven with consistent snowfall, and all that snow comes with a great town. 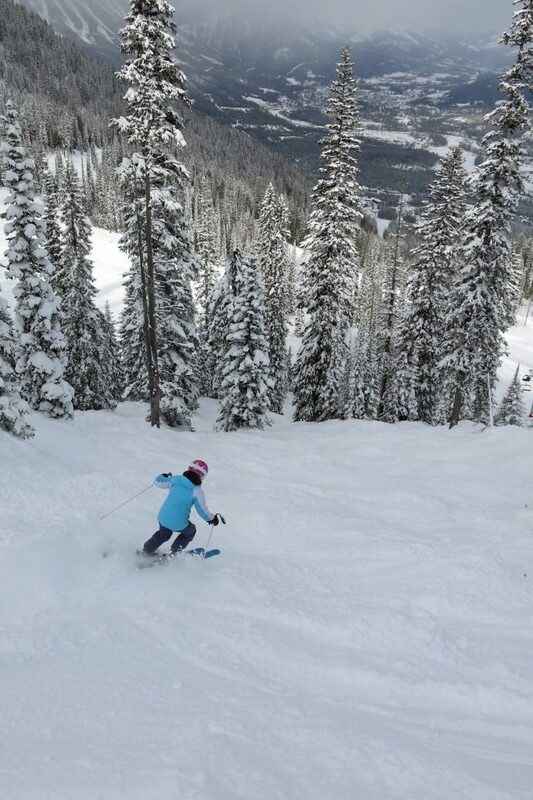 Fernie is one of those places you hear about as an avid skier and just have to try out for yourself. Known for great snow, we happened to hit it during the best conditions of the year during a far above average season, so it was absolutely crazy good. It snowed up on the mountain for almost the entire 3 days we were there. I got tired of scraping the snow off the truck in the mornings. This is a good problem to have! 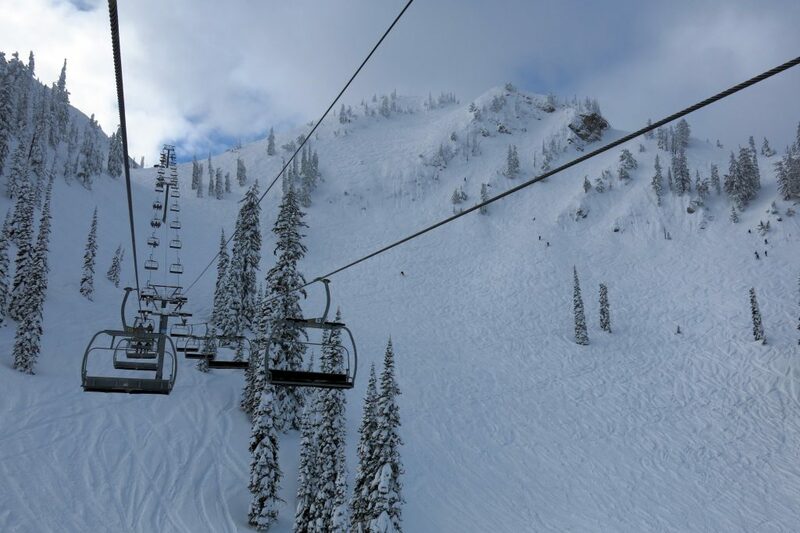 We spent 2 days skiing and the first day was an 18″ powder day. About 30″ of snow had fallen the week before, so needless to say it was soft everywhere. 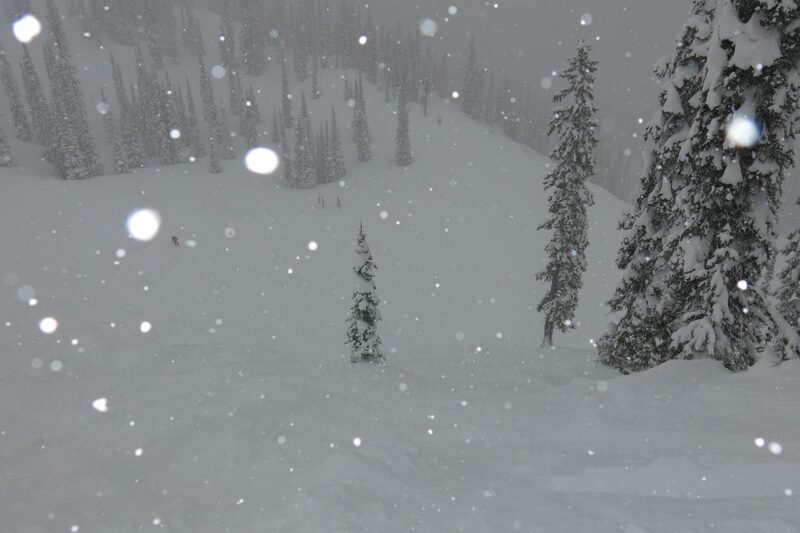 Although the powder was great, a lot of the bowl terrain was closed due to avalanche danger, and the topmost lift Polar Peak was buried and they basically gave up trying to dig it out, which cut 700 feet from the vertical drop making it a modest 2,816′. The closed terrain stayed closed for 3 days, which makes me feel like their snow safety program is underfunded. This is a 2,500 acre ski resort, and probably at 800-1000 acres of it was roped off. On top of that, one of the lifts went down and wasn’t repaired during our stay. When we went down for lunch, the main cafeteria was closed for an employee event. So add all those things together and my opinion of the RCR management is low. We saw the same sort of thing over at Mont-Sainte-Anne in Quebec, which is another RCR resort, so don’t feel like this is a fluke. Management aside, the resort has some impressive features besides the snow. There are lots of steeps with some legit exposed lines. I sampled some of the double-black terrain off the White Pass Quad in the Knot Chutes. 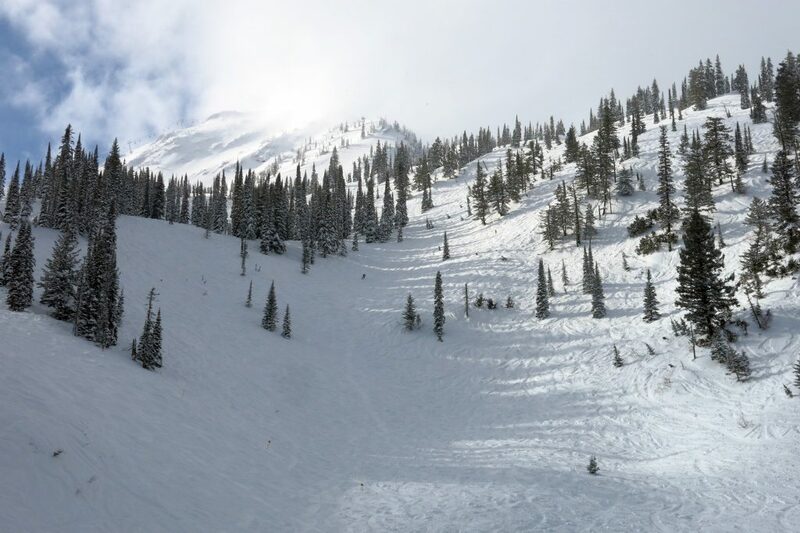 A lot of the other double-black diamond terrain was roped off, but the single-black terrain is impressive enough on it’s own and would rate as double-black at many resorts. The entire ridge on skiers left of Currie Bowl is full of really nice steeps and trees and that was one of my favorite areas. AiRung liked Black Cloud and some of the other more reasonable blacks in Timber Bowl. 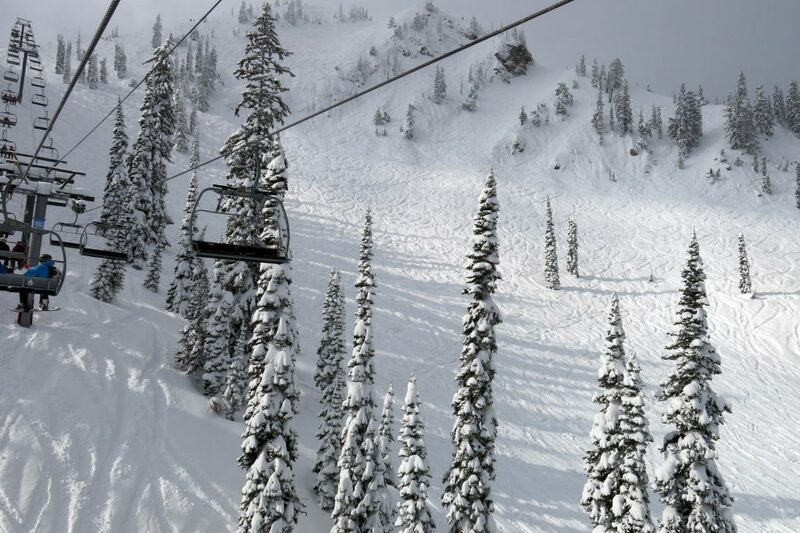 The resort is made up of several bowls, but we spent most of our time in Timber Bowl off the Timber Bowl Express and White Pass Quad. Timber Bowl Express is one of only 2 high speed quads at the resort, so if you want a lot of vertical you’ve got to ski there or over on Great Bear Express, but Great Bear is much shorter and the terrain over there in Lizard Bowl is not that great. The 2nd day we skied there it wasn’t snowing as hard so we got to sample some grooming. 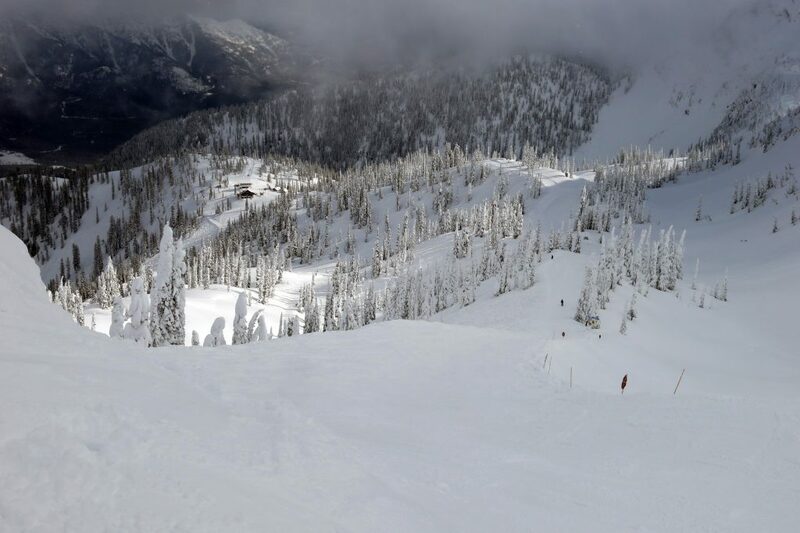 There isn’t really that much for a resort of this size, but our hands-down favorite was North Ridge off the Boomerang Triple. 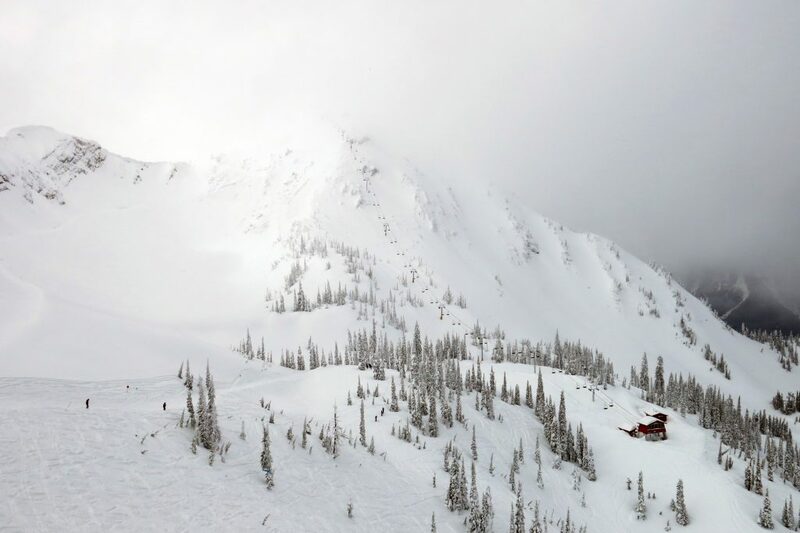 The main run down the middle of Currie Bowl was another notable highlight for grooming, but you don’t go to Fernie for grooming, so if that’s what you are looking for better head over to Panorama. There is a small village at the base with some decent food options, but the town of Fernie really deserves special mention if we are going to talk about food. It’s a great town with lots of quality restaurants and everything else you want to find in a major resort town. 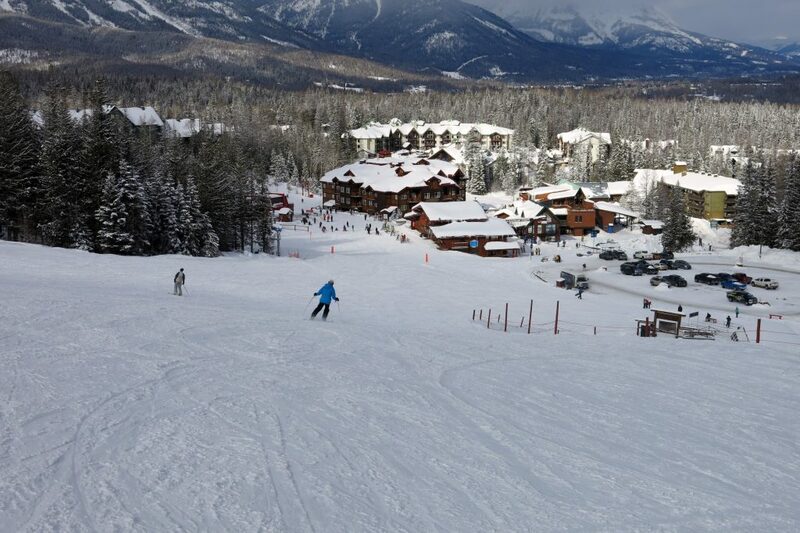 Fernie was a lot of fun and we really enjoyed our time there. 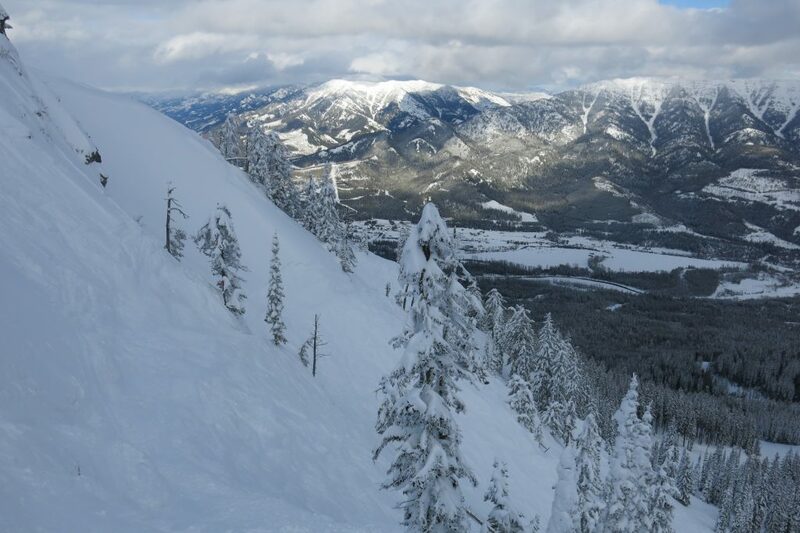 We were amazed by the depth and quality of the snow and loved the town, but other than that it doesn’t really match up well to some of the other Powder Highway resorts like Revelstoke, Red Mountain, or Panorama. So if we return it will probably be because we are skiing all of the Powder Highway resorts again.